Beginning in the late eighteenth century, huge circular panoramas presented their audiences with resplendent representations that ranged from historic battles to exotic locations. Such panoramas were immersive but static. There were other panoramas that moved--hundreds, and probably thousands of them. Their history has been largely forgotten. 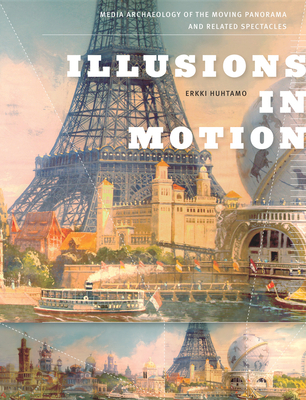 In Illusions in Motion, Erkki Huhtamo excavates this neglected early manifestation of media culture in the making. The moving panorama was a long painting that unscrolled behind a "window" by means of a mechanical cranking system, accompanied by a lecture, music, and sometimes sound and light effects. Showmen exhibited such panoramas in venues that ranged from opera houses to church halls, creating a market for mediated realities in both city and country.